The GRANIT™ 460 U-Lock offers outstanding protection against bike theft thanks to its premium-quality materials and Extra Class cylinder. A hard nut for thieves to crack: the GRANIT™ 460 U-Lock cannot be bent open or attacked using ice spray. This U-lock has a lot to offer: the 12 mm parabolic shackle, the housing and the load-bearing parts of the locking mechanism are manufactured using specially hardened steel. 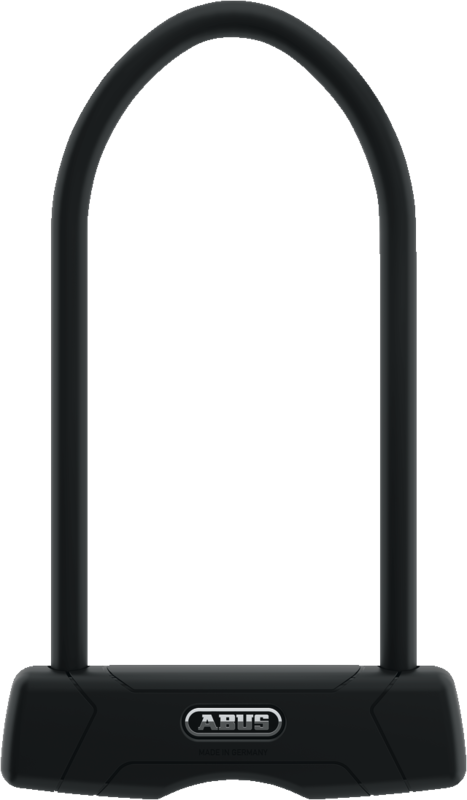 When combined with the ABUS Extra Class cylinder, they result in a lock which can rightly be considered the safest way of securing high-value bicycles. The locking mechanism is a stand-out feature: not only is it particularly secure thanks to the double locking system, but it is also supplied with a coded reversible key. By ordering other locks which are coded appropriately, all of the locks owned by the members of a single family can be operated using one key, for example.